As a part of our premium machined stitched set, the futon in the Red Label tare uses the finest materials. 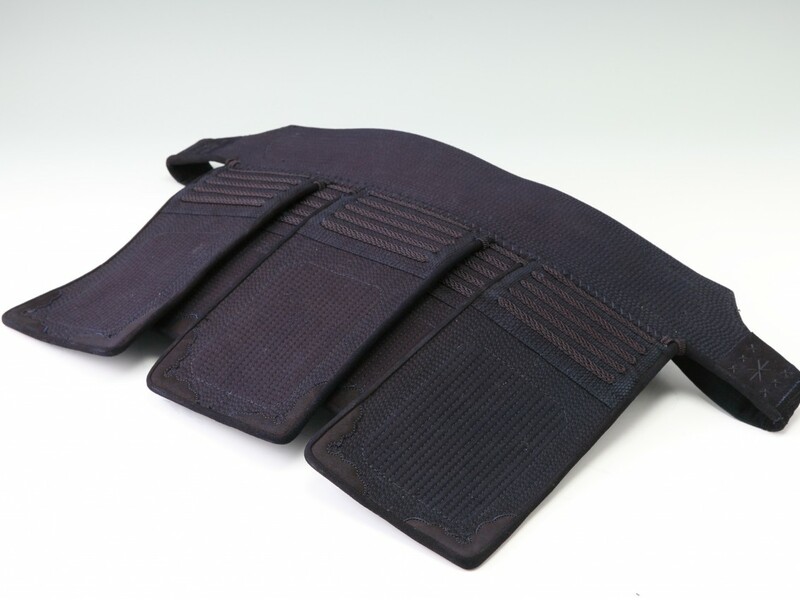 The #6,000 grade aizome dyed cotton, and the unique 'koshi' composition of sheep wool and cotton mean that this item is quick to mould to the shape of its owner, and naturally becomes more comfortable with time. This is the same composition that ensures an enhanced durability and level of protection, whilst the 6mm stitch and gaku-zashi design ensures a stylish appearance for all occasions.